All Disciplines starting form all class from late 70’s to mid 80’s, then Wave riding became my first and best. Italian champ division2 + Windsurfer-Windglider 1983-1984 > PWA World rank 4 WAVE Overall 1989/1990 > several PWA events won in late 80’s early 90’s. > 2nd at Sylt World Cup (Wave) 1987. Born in 1968 in Faenza, is undoubtedly an icon of International Windsurfing and indeed the most famous Italian athlete of this discipline. Following the release of John Milius’s 1978 film ‘Big Wednesday‘, the entire Cantagalli family were captivated by this new sport and inspired by the film, they all took to their boards. It was soon clear that Cesare, at just 9 years old, had a natural talent for windsurfing, and he took up the sport with an enthusiasm and passion that has carried him forward and helped him to achieve international success. 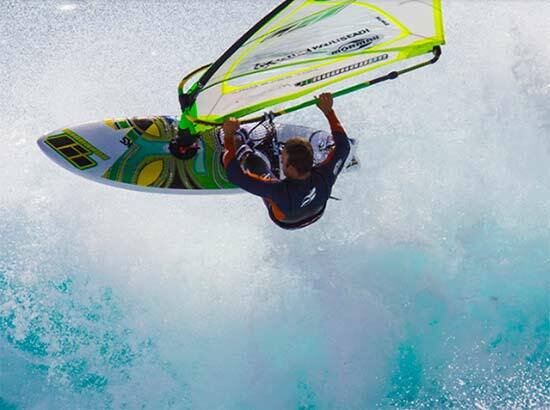 Almost immediately he was top of the national podium in all windsurf categories for three successive seasons. At just 14 Cesare moved to Hawaii, the Mecca of windsurfing that is often considered to be an open air gym for training the world’s greatest champions. It is here that Cesare would be become just that. In 1986, Cesare, endowed with his “classic Italian” inspiration and creative impulse, invented a completely new and truly spectacular acrobatic move that would mark him as a true windsurfing legend; the first ever forward rotation in the history of this soprt. It was initially called the “Killer Loop” but later, in virtue of its origin, it was aptly coined “Cheeseroll” from “Cesare Roll”. This manoeuvre inspired a new vein of moves, brought impetus and spectacularity into this sport and, of course, catapulted Cesare towards inventing radical new aerial moves. 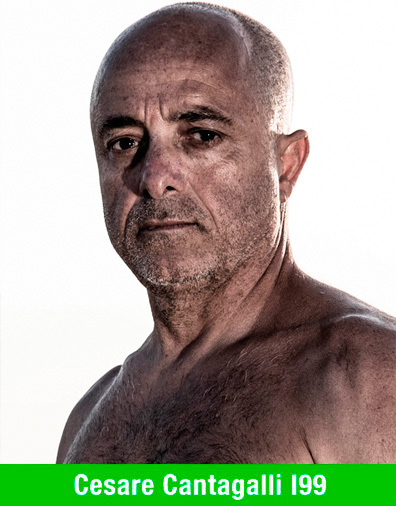 Cesare then spent over 10 years traveling extensively on the world circuit whic became his classroom and his school of life, stimulating his curiosity about the world whilst also enabling him to compete to gain a place among the world’s top five windsurfers. This gave him the opportunity to break waves with some of the most famous athletes in history, and victories around the world which gained him 4th place overall “Wave” in 1989 and 1990. After securing his place in the (albeit brief) history of windsurfing, he decided to try some new experiences. He began to seek out both old and new places that better suited the abilities of an accomplished surfer – more often than not they were a long way away from mundane mainstream tourism. ‘GLOB-O-TOUR’ was established in 1994 to harness this zealous spirit. Inspired by nothing other than wind, water and nature, and drawing upon Cesare’s natural talent, eight years of experience and acute eye for the needs of others (as well as plenty of adrenalin! ), the media project was born. So intent on getting it right, Cesare personally directs and produces the videos and oversees all related publications with the media. Unable to resist the challenge of ‘KiteSurf’, what began as a spin-off discipline has also become a part of Cesare’s life. Unsurprisingly, Cesare’s array of talents and ambitious, motivated character are admired by many in the windsurfing world. In 2008, Cesare has joined forces with his friend shaper Gianni Valdambrini and realised his dream by launching his very own brand ‘i-99, inspired by Cesare’s sail number I-99. Today he is fully dedicated and focused focused and dedicated to his brand, where he is fully involved form A to Z including all the boards graphics which he personally computer design under it’s own ideas and inspiration style.